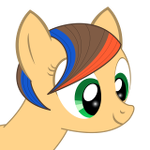 Confirmed - we have you down for one set with Ditzy Doo as the best pony! Hello! Confirmed, you ordered one set and chose Rarity as the best pony! Should have done this sooner. But I would like to get a sign-up confirmation on E-mail ([redacted]). Tao wrote: Should have done this sooner. But I would like to get a sign-up confirmation on E-mail ([redacted]). Hi! Sorry for late response. I can confirm we have you on the list for one set with ... um ... probably everypony as the best pony! A confirmation with Rarity as best pony. Could you confirm that I did indeed signup.